Fulbright New Zealand is proud to celebrate Women’s Equality Day 2015, the 95th annual day proclaimed each year by the U.S. President in honour of progress in advancing women’s rights. 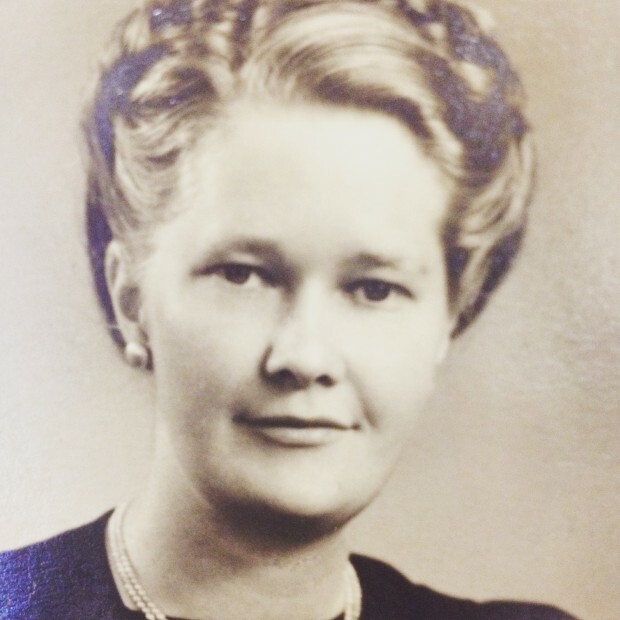 New Zealand’s first female Fulbrighter, the late Jessie Constance Hall (nee Borland), was amongst the inaugural cohort of Fulbright scholars travelling to the U.S. from New Zealand in 1949. When, under the Fulbright Exchange scheme, the first group of five New Zealand research scholars went to America in 1949, Jessie Constance Borland, known as Connie, was the only woman in the group. How did she become a Fulbright research scholar and what did she do on her return? In the 1920s the Carnegie Corporation ofNew York wanted to invest in activities that would improve cultural and educational conditions in what were then known as the British Dominions; Australia, South Africa and New Zealand. Sent on a fact-finding mission, Dr James Earl Russell, the recently retired President of Teachers College, Columbia University, included in his recommendations that New Zealand’s museums needed to be developed, especially for educational purposes. As a result, the Corporation contributed $50,000, and a Carnegie Museum Trust was set up in New Zealand to manage the money and direct its use. A major outcome was the appointment of education officers to museums in the four main cities, paid for partly by the New Zealand Education Department. The education officers became staff members of teachers colleges. The first education officers were appointed in 1938, which happened to be the year that Connie Borland, from Riverton in Southland, entered Dunedin Teachers College. First year students could apply for a placement in the Otago Museum rather than in a school and Connie was one of four students who spent a month learning about the museum from Gordon Anderson, the Education Officer, and teaching small groups of school children in the galleries. The experience was enough to convince her that she had found her mission in life. When Gordon Anderson was recruited for weather forecasting during the war, Connie replaced him at the museum. When the war ended, she stayed on as his assistant while completing a BSc through Otago University. After two years, she took leave to study for a MSc and do her fieldwork at the Portobello Marine Station. She had been corresponding for some time with the education section of the American Museum of Natural History in New York and, when a representative arrived in New Zealand to obtain specimens for a diorama in the museum’s Hall of Birds, he made contact with her. Connie was on her way to her final examination when she received the formal invitation of a year’s employment in the education department of the museum. However, she would have to pay for her own transport to and from the United States. In 1948 the programme of international scholar exchange initiated by Senator William Fulbright was formally established in New Zealand just in time for Connie to apply to the NZ-US Educational Foundation, as the Fulbright organization was then called, for an award as a research scholar. A place was booked for her in a four-berth steerage cabin on the only ship then sailing to America. However, by the time her visa arrived, the ship had sailed. The NZ-US Educational Foundation sent her by air, in a three day voyage by DC6, in what Connie later described as unimagined luxury with full sleeping accommodation. The displays and the educational work of the American Museum of Natural History made a profound impression on Connie. However, on her return to New Zealand in 1951 she found that her former job at the Otago Museum had been taken. She accepted a position as lecturer at Wellington Teachers College. Faced with a shortage of teachers in the baby boom of the postwar period, the colleges were recruiting mature students. One of Connie’s students was Pendril Hall. They were married in January 1952. Her experience at the American Museum of Natural History continued to inspire her and Connie never lost her enthusiasm for the importance of museums for children. From 1950-58 she represented New Zealand on the International Committee for Children’s Museums, Paris. She also maintained liaison with the National Museum in New Zealand and taught student teachers the value and use of museums for school children. In 1953 she joined the National Museum as Education Officer, leaving in 1957 before the birth of her son. Unable to return to museum teaching after her maternity leave, she worked at the Correspondence School briefly before rejoining Wellington Teachers College as a senior lecturer in science in 1964. After retiring, she carried out a study of New Zealand museum education services for school children with a grant from the New Zealand Council for Educational Research. Her report, Grandma’s Attic or Aladdin’s Cave, was published in 1981. She was the first New Zealander to be awarded a Diploma of the Museums Association of Great Britain, in 1954, and was made an honorary Life Member of the Art Galleries and Museums Association of New Zealand in 1958. In 1982, she became an honorary Life Member of the Museum Education Association of New Zealand, an association which she helped form, and was appointed Honorary Research Associate in Education to the National Museum. The following year, she became the first Fellow of the Museum Education Association of Australia, which cited her “contribution to education in New Zealand” adding that “it interlinks New Zealand, Australia and America.” In 1988, she was awarded the QSM for Public Services, in recognition of her work in museum education. Connie Hall died in 2007 at the age of 87. Throughout her life she thought of herself as a Fulbrighter and her time at the American Museum of Natural History as the highlight of her career.